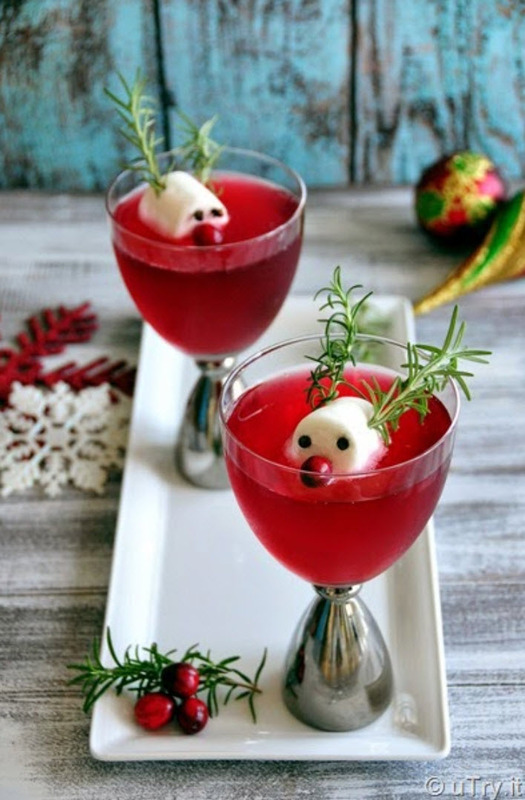 The long-awaited eggnog season is here, but there’s much more to be had than your standard cocktails at these crafty holiday pop-up lounges around town. Think tequila-laced hot chocolate with maple whipped cream in a cabin with sheepskin throws and golden candelabras. 1. The Lodge at STK on Little W. 12th Street’s indoor/outdoor rooftop is open Thursdays through Saturdays. Warm up with a couple ladles from the vodka, apple cider, cinnamon ginger beer, and Prosecco punch bowl. 2. Snow Globe in the Sky at Ophelia. The name just says it all, doesn’t it? Perched at the top of Beekman Tower in Midtown, you’ll have a birdseye view of the winter wonderland below. 3. Winter Chalet at Industry Kitchen. 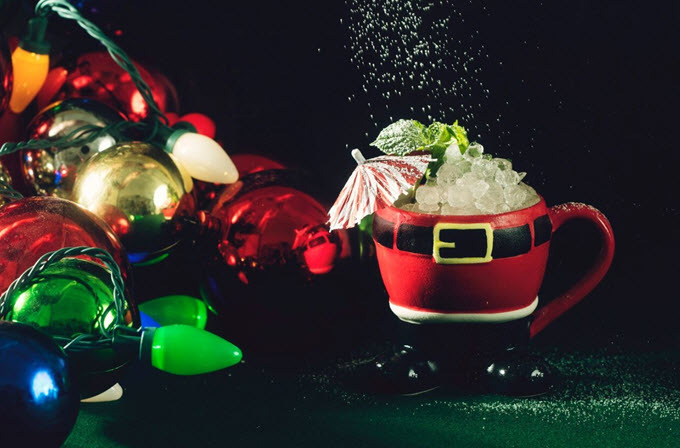 Order the Peppermint Slide to share. Baileys, candy canes, peppermint bark, and pretzel rods. Nuff said. 4. Birreria on Eataly’s rooftop has turned into an Italian Alps wonderland, complete with Italian mulled wine and 35 other cocktails. 5. Arlo Antarctica at the Arlo SoHo and Arlo NoMad hotels, inspired by Shackleton’s 1907 Antarctica expedition, serves cocktails in ice huts. 6. Miracle on Ninth at Mace sells Santa-shaped mugs with 10% going toward Action Against Hunger. Fill ‘er up! 7. Sippin’ Santa at Boilermaker on First Ave. and First St. takes Christmas tropical with Kris Kringle Coladas. 8. At Winter Garden at the standard you can even purchase a Christmas tree! Careful, might want to measure before you have a few cocktails in your yurt. 9. Pink presides at Pink Holiday at Moxy in Times Square, with a pink grand piano, pink grandfather clock, pink tree… you get the picture. 10. Winter Room at the Roof at Viceroy New York is 29 floors above the hustle and bustle. Cozy up in a blanket while you peer down at Central Park below. 11. 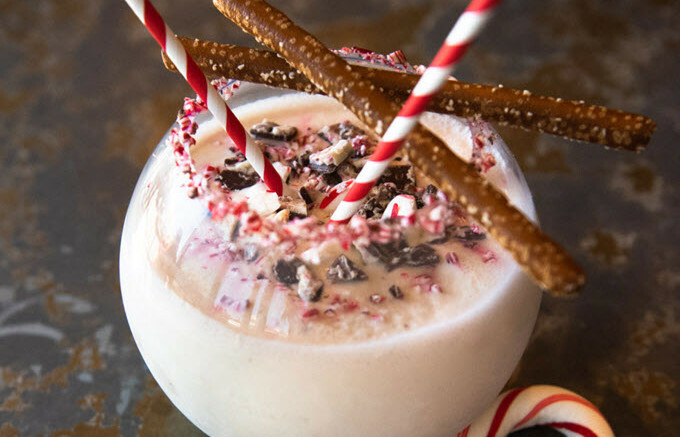 Donner & Blitzen’s Reindeer Lounge at The Springs in Greenpoint does it up with a candy cane wall, peppermint bark slushy, and a “Nog Gonna Make It to Work Tomorrow” cocktail. 12. Midwinter Night’s Dream at PHD Terrace at Dream Midtown has tableside fires to roast your marshmallow for your S’mores ‘Tini. 13. Enter Winter Wonderland through the VNYL, a holiday-inspired record store inspired by Vinny Chase. 14. Apres Ski at Treadwell Park serves up your typical after-sport cocktails along with not-so-typical short-rib pumpkin raviolis and beer fondue. 15. The Lodge at Gallow Green in the McKittrick Hotel houses Sleep No More, and now, a Scottish lodge with mulled cocktails you can sip fireside.